Amber Home Carers provides home care services in South West London and Twickenham. Based in East Sheen, in the heart of south West London their carers work and travel to all areas including Hammermsith, Richmond, Sheen, Kew and Teddington. 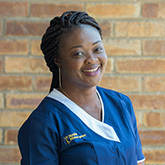 Amber Home Carers was founded by Jacqueline Esin to offer a service with a difference. Having been in the health industry for well over twenty years, including time spent as a carer, Jacqueline has a range and breadth of experience in the sector. 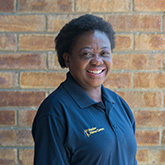 Jacqueline has worked in several settings including acute wards, forensic settings and elderly, she has also worked to gain her mental health nursing diploma as well as BSc in substance abuse. 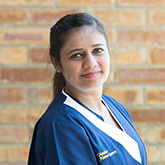 This unique blend of experience and education saw her perfectly placed to create Amber Home Carers; offering private care with a difference. 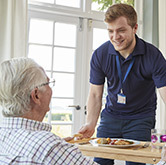 Allowing individuals to live with dignity and flourish in the comfort of their own home whilst their families can feel comforted that their loved ones are being guaranteed the best care. This is due to our central mission that sees us pick recruit only the very best carers from a range of backgrounds. We are a local, family run service that hires only the very best carers. Carrying out a full and rigorous vetting process we ensure our careers are only of the highest quality and fully trained and we also offer supplementary training where appropriate. This ensures we can meet our mission of offering the very best possible level of care in an emergency or long-term basis and build a solution tailored to your needs. We are compassionate and consistent with our care delivery. "Thank you for looking after Mum and Dad. The care was good when it was hourly, but great when it became live-in care. I took my first holiday after 4 years of being the main carers for both my lovely parents." "As a family we are unable to visit our mother as often as we would like; living 300 miles away makes overseeing her needs difficult. Having Amber taking charge of my mother's daily care has been such a relief to the family, while maintaining her independence." "Thank you for the support you gave my dad from the time he came from hospital up to the time his package finished. The carers were amazing." "Mum has gone into hospice and we are now struggling to accept that she will be leaving us, thank you Jacque and the rest of the team for the support you gave us. The help extended beyond just my mum, we appreciated the hour help in the morning because it allowed us to walk the dog." "Thank you for coming earlier than normal time to help daddy get ready for his hospital appointment. We appreciate all the help." "I so enjoy Maria's daily visits. Her care and attention to detail shows so much patience. She brightens my day." © 2018 Amber Home Carers Ltd • 51a Sheen Lane, East Sheen, London SW14 8AB. Registered in England no: 08132706.